Socialist MEP in charge of MSZP’s election campaign István Ujhelyi calls the European Parliamentary election campaign leads of Democratic opposition parties for strategic coordination by the first week of January, who says the Orbán-regime can be overthrown by coordinated action in the May elections. 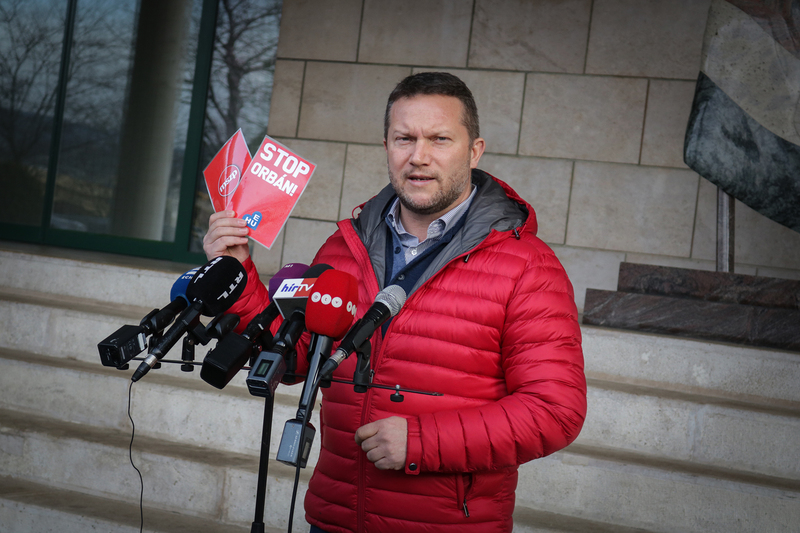 At a Thursday’s press conference in Budapest, the Socialist politician spoke of the immense responsibility of the opposition to stop the “dictatorial power building that characterizes the system of Orbán and his oligarchs” next year. He stressed that the unprecedented and exemplary opposition, trade union and electoral cooperation that began before Christmas created a common front against the Orbán-government, adding that this cooperation would continue in January. He claimed they wanted to show that not a few thousand people, but hundreds of thousands protest against the system, speaking their opinion out loud.